Members of the Association of Fundraising Consultants (AFC) are seen as professionals who give the best possible advice to charities seeking funds to support the work of their cause and beneficiaries. The maintenance of high professional standards is crucial to the future of providing much-needed support to charities. The AFC’s Code of Practice, which works in tandem with the Fundraising Regulator’s Code of Practice, reflects the purpose of the AFC and describes the standards that AFC members have agreed to observe. In this article, Stefan Lipa, from Stefan Lipa Fundraising Consultancy, looks at each of the 10 components of the AFC’s Code of Conduct, what the Code means in practical terms for AFC members and how it helps safeguard charities and not-for-profit organisations. 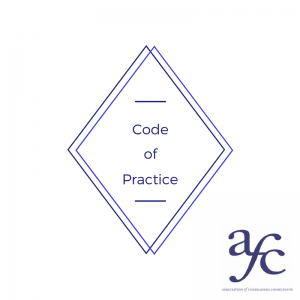 All members of the AFC are required to abide by the Code of Practice. The Code of Practice is enforced by a complaints procedure by which any relevant person or organization can raise an alleged breach of the Code of Practice. This will be investigated by the AFC with an intention to resolve the issue either by satisfaction of the complainant or by a sanction on the member concerned. Every few years, the AFC seeks information about practitioner members from several of their respective clients (past and present) to assess their commitment to the ideals of charitable giving and the quality of professional services. Members must sign a document agreeing to abide by the Code of Practice every year when renewing their membership of the AFC. While the first part of this statement appears self-evident, there are nuances that need to be observed. For example, let us assume that a capital campaign with a target of £10 million, achieves its target. A statement by a fundraising consultant saying ‘We raised £10 million’ would likely be untrue. A statement which says: ‘We helped charity x raise £10 million’ would probably be more accurate. The reputation of the client organisation undertaking the project and its existing relationship with potential donors. The emotive appeal of the project. The commitment of the client organisation to the fundraising campaign. The quality of campaign leadership and the campaign ambassadors. The quality of the potential donors. The quality of the relationship between each campaign ambassador and the potential donor approached by that campaign ambassador. The response of potential donors. If the fundraising consultant avoids guarantees he/she is less likely to promise to raise sums that are unrealistic. In any event, it is not the fundraising consultant who raises the sums of money. The facts of each situation will determine whether a client has been acquired by fair means. This does not prohibit negotiation on price or range of service. Organizations seeking fundraising advice can often be under stress, needing to raise money but having few resources to do so. It is imperative that during negotiations, no undue pressure is applied which takes advantage of an organization’s possibly vulnerable situation. A good start is to ascertain that a charity is registered with the Charity Commission and to read the relevant information about the charity online. Although a fundraising consultant does not need to be a member or supporter of a charity (in fact it could be argued that being too close to the charity might make it difficult for the fundraising consultant to provide objective advice), it will be beneficial to the relationship if the fundraising consultant considers the charity to have worthy aims and honourable intentions. If the fundraising consultant feels that the opposite is true then it is unlikely that he or she would be able to provide the best possible service to the charity. Recent history has shown that there are some fundraising practices that are either harmful to the public or perceived to be so. Examples include bombarding potential donors by post or email and harassing people on the streets. AFC members are expected to be very careful about the advice they give to clients and they should advise against practices that are harmful to the public. In any event, such practices will be detrimental to the charity concerned and will limit its ability to help beneficiaries. Any practices that are harmful to the public or to charities and their beneficiaries are also detrimental to the fundraising profession and, consequently, could bring the profession into disrepute. When a charity retains a member of the AFC, the charity is entitled to expect a ‘gold standard’ in fundraising advice – as should be expected from a member of AFC. However, AFC membership is made up of firms which employ individual practitioners who are not themselves members of the AFC (although they may belong to other organizations such as the Institute of Fundraising). Fundraising practitioners have a wide range of relevant experience and expertise. Relevant professional experience also depends on the degree and quality of supervision and management of the fundraising professional who is in situ. a letter or email from the AFC member agreed to by the charity by letter or email. This document is required by the AFC whether or not a firm is required to enter an agreement under the Charities Act 2006. The agreement should outline what services will be provided by an AFC member or it may simply refer to a proposal and the date of that proposal issued previously. Often a termination date is specified, with the proviso that the parties can agree a renewal. Sometimes the agreement is stated as being in force until terminated by either party. The agreement should set out the fee; sometimes an hourly, daily or other rate; or alternatively a set fee for a specific task. All expenses for which a consultant proposes to charge should be included in the document. This would include where appropriate: a mileage rate, travel, accommodation and subsistence etc. The document should specify when fee and expenses payments are due, and how they should be paid. An ability for either party to require a review. A provision to terminate a contract in addition to the termination date described above. This should allow both the consultant and the charity to terminate an agreement with a reasonable period of notice, and also an ability to terminate where the consultant is not able to provide the service (e.g. staff problems) and where fees are not being paid on time. Many potential clients often ask us if it is possible for fees to be paid on a commission or contingency basis – calculated as a percentage of the amount raised. This query is understandable, particularly where a charity is strapped for cash. If a fundraising consultant is paid as a percentage of an amount given by a donor, it increases the chances of a donor having a negative reaction – he or she may feel they are paying the salary of a fundraising consultant without reference to the value of that service. However if a fundraising consultant is paid on the basis of hours of input and of expertise, it is more likely to be seen as a normal professional cost in the same way as the fees of other professionals engaged by the charity. It is almost impossible to value the input of a consultant by commission. A donation may be the result of the long-term teamwork of many people within the charity rather than specifically the fundraising consultant. The task of a fundraising consultant is not to ask for money, but to structure a campaign that the charity can implement successfully. The only fair method for the consultant, the charity and the donor, is for an agreed fee to be paid to the fundraising consultant based on their input. Payment by commission can easily be interpreted (rightly or wrongly) as excessive remuneration. Paying a consultant by commission can also lead to internal dispute and tension involving trustees, officers and volunteers of the charity. If a consultant is paid by commission where trustees and volunteers are fundraising without payment, there is potential for ill-feeling. However if a fundraising consultant is paid for the number of hours of input, on the same basis as officers and other consultants and suppliers, there is less room for problems to arise. Payment by commission could also encourage bad practice involving advice given under pressure or incorrect advice, putting personal gain ahead of the charitable interests of the donors, the charity and the beneficiaries. A fundraising consultant comes into contact with a lot of information about a client. This does not just apply to tangible issues such as finance, future planning, trustees, staff etc., but also the intangible such as internal tensions and politics. Maintaining confidentiality can be a practical problem for a fundraising consultant when issues arise between the fundraising consultant and the client. At all times, the fundraising consultant must bear in mind the need for a professional approach. Pursuing a policy of confidentiality is vital to client confidence, not only the current client, but also future clients, who will expect the same treatment, and would be disconcerted by any rumour or publicity which indicates that a fundraising consultant has breached confidentiality. This seems to be an obvious statement, but its application is not always straightforward. One factor that needs to be taken into account is whether by acting for a particular client, the fundraising consultant is creating a potential problem for another of his or her clients. For example, the fundraising consultant may be advising two churches, schools, museums or theatres in the same area; or there may be two similar clients at opposite ends of the country, both of which might apply to the same very restricted source of potential funding. The best course of action is transparency. Both the existing client and the potential new client should be given full information about the fundraising consultant’s role with the other relevant clients at the earliest possible opportunity. If either objects, the fundraising consultant needs to think again. Fundraising consultants are often asked for advice about possible suppliers. It is perfectly reasonable for a client to ask, and part of the fundraising consultant’s professional role is to answer to the best of their ability based on knowledge acquired while advising other clients. Any advice must clearly be based on previous experience – and no pressure should be applied. It may be helpful if the client considers not only the consultant’s recommendation but also looks at other alternatives. In all cases, the fundraising consultant must not accept payment from any suppliers in return for any recommendation. If you have any comments about this article, or would like to discuss any of the issues raised, please contact Stefan Lipa at Stefan Lipa Fundraising Consultancy on 01256 698090 and enquiries@stefanlipa.co.uk or visit www.stefanlipa.co.uk. You can also follow us on Twitter @StefanLipa and LinkedIn.